MSU researchers have found that Huckleberry Gold has a low glycemic index. This variety does not cause a rapid spike in blood sugar like most starchy foods. Great potato for diabetics! 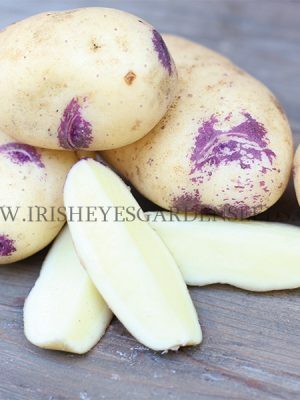 Huckleberry Gold produces round to oval small to medium sized tubers with purple skin and yellow flesh. Resistant to common scab and verticillium wilt.